Love zombies and wish you could star in your own zombie survival movie? Then this is definitely the Kickstarter for you! This is the second edition of the role playing game Outbreak: Undead. The game is simple; you play yourself as a character attempting to survive the zombie apocalypse. Your GM gets to customize the story and what kind of zombies you’re up against. One problem you may have when you’re trying to play as yourself is that some people might fib a bit about their actual capabilities. But the creators – Ivan Van Norman, Robert Watts, and Christopher De La Rosa – have already thought of that! They worked with psychologists, social scientists, police, fire, military, and search/rescue to create a test that you can take that will measure your stats for you so you can play the game! Check out the free test here. The creators of the game want to stress that it’s not a card game. It’s an RPG. So how does the system work? I’ll let them explain! 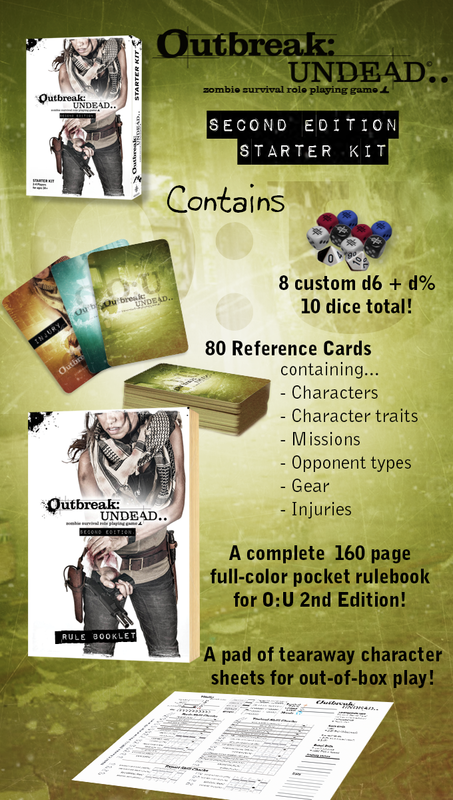 $40 – BITE – One (1) copy of Outbreak: Undead – 2nd Edition Starter Kit. Including ALL Stretch Goals. Shipping is $20 for UK/CANADA, $30 for Rest of World. 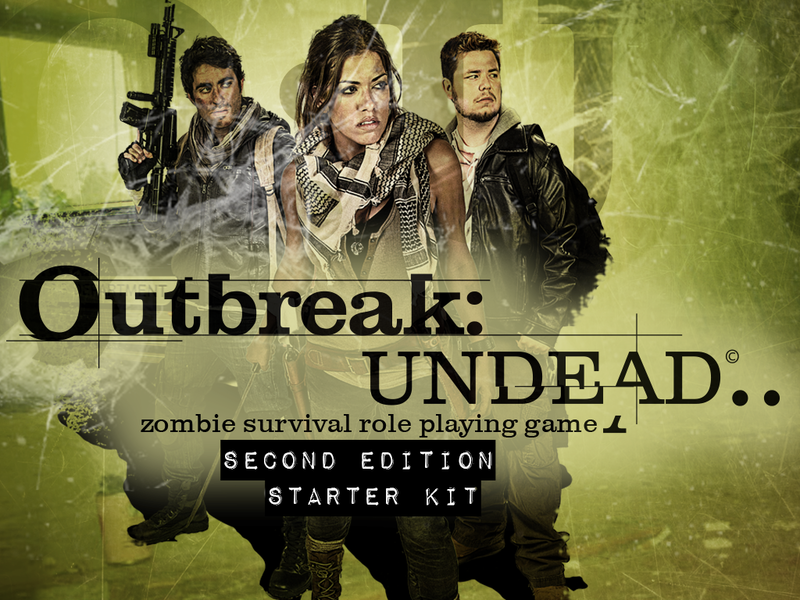 $50 – SHRED – One (1) copy of Outbreak: Undead – 2nd Edition Starter Kit. Including ALL Stretch Goals, PLUS a set of SP and RISK CARDS. $60 – TEAR – One (1) Copy of Outbreak: Undead – 2nd Edition Starter Kit, including ALL STRETCH GOALS, PLUS 500 point SP bonus for use in Pandemic Play! The Kickstarter has already hit their goal, so it’ll definitely fund! Check it out here. If you’re interested in backing it, you’ve got until June 11th at 10:19 a.m. CDT.